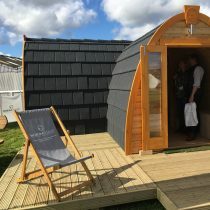 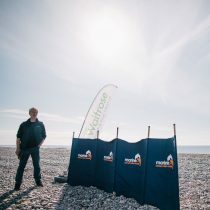 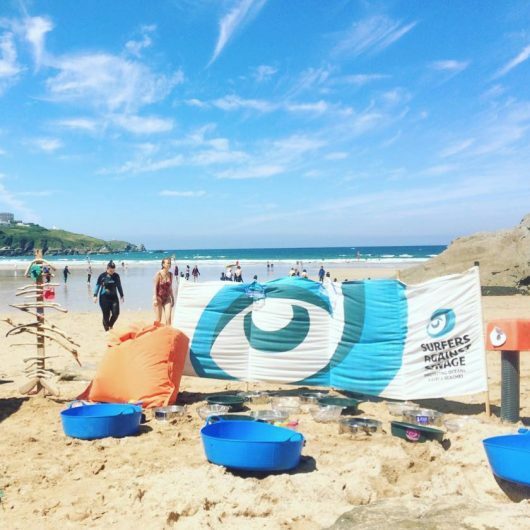 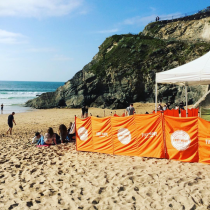 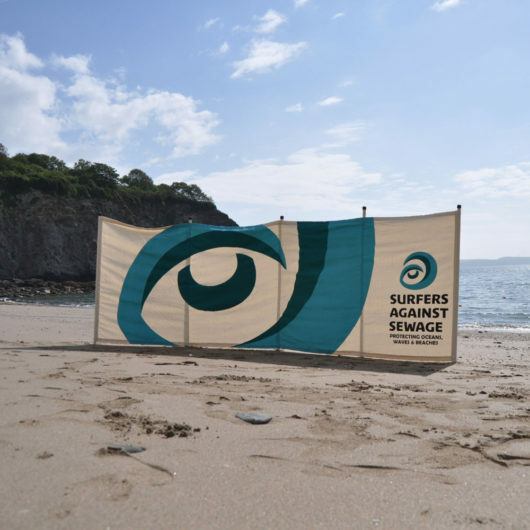 SURFERS AGAINST SEWAGE (SAS) IS AN ENVIRONMENTAL CHARITY THAT PROTECT THE UK’S OCEANS, WAVES AND BEACHES FOR ALL TO ENJOY. 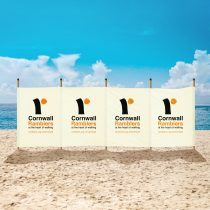 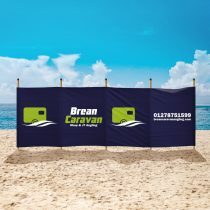 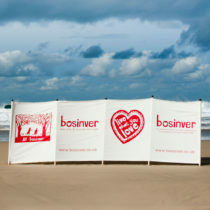 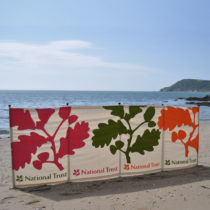 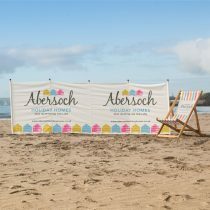 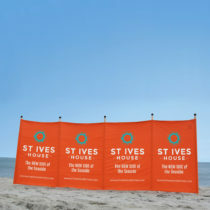 South Westerly Windbreaks produced some bright and striking branded windbreaks for SAS. 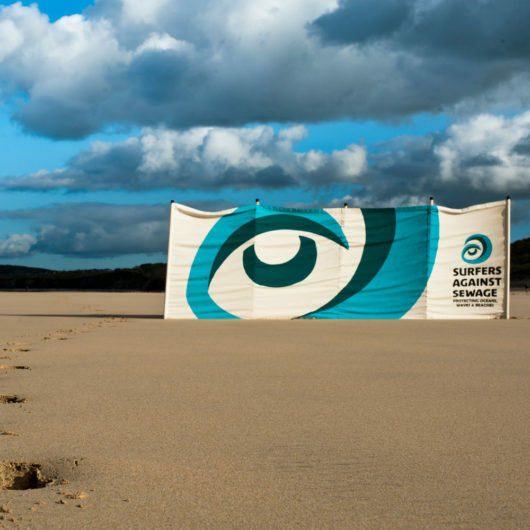 SAS has strong core values: sustainability via community action, campaigning, volunteering, conservation, education and scientific research. 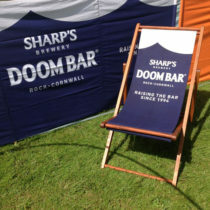 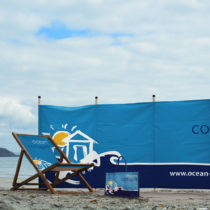 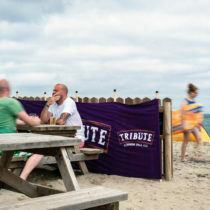 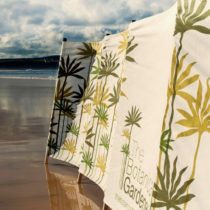 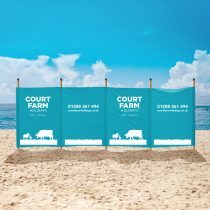 With this in mind our sustainable windbreaks are a great and in-keeping advertising tool. 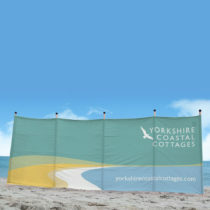 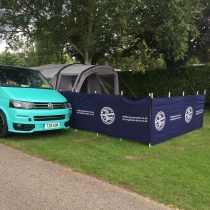 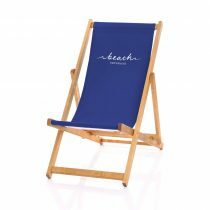 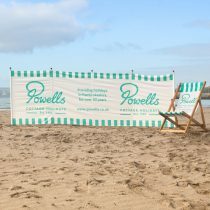 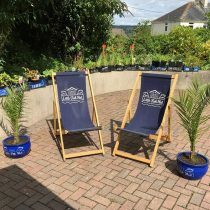 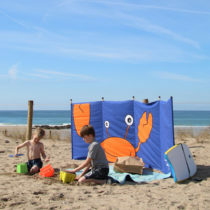 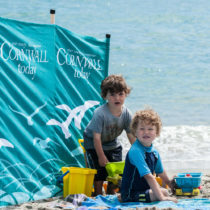 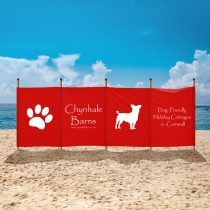 South Westerly Windbreaks come with sustainably sourced wooden poles, ethically sourced cotton and are manufactured with a very strict code of ethics, which for us is most important. 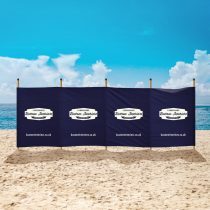 These environmentally-friendly products are available on the SAS online store for members and friends alike to purchase. 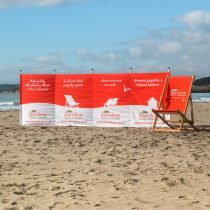 They’re also a great way to spread the word about SAS to other beach users! 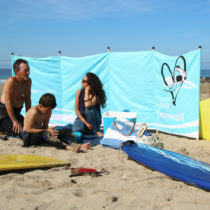 Surfers Against Sewage also order branded cotton bags, mugs and pens to be sold via their online shop. 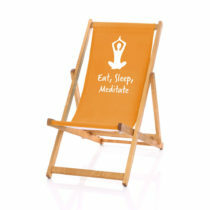 To view a range of other promotional gifts, take a look at GoJute Ltd.